TORONTO, Sept. 27, 2018 – CPA Canada is continuing to raise its profile on sustainability issues with the signing of $1.45 million climate change awareness campaign with Natural Resources Canada (NRCan). With a review underway of the CPA Competency Map, the announcement of the joint funding agreement counters criticism that sustainability training is missing from the CPA professional education program (CPA PEP). CPA Canada and NRCan will contribute $725,000 over two years for training, research and guidance. The purpose of the pact is to help Canadian business leaders recognize and anticipate the emerging financial impacts of climate change and to help their organizations better respond to the increasing demand for enhanced climate-related disclosure. CPA Canada will focus on two projects related to awareness and reporting. It will provide climate change training through three training programs to build capacity within the private sector, targeting boards of directors, executives and CPAs working in business and professional services. Its second project will focus on climate change disclosure and decision-making through research and best practice guidance, by providing research and outreach with companies and investors to develop best practice guidance for implementation of the Task Force on Climate-related Financial Disclosures (TCFD) recommendations. "Climate change has wide-ranging business, economic and social impacts," stated Joy Thomas, president and CEO, CPA Canada in a press release announcing the pact. "Driving awareness about the risks and opportunities associated with climate change is a strategic priority for CPA Canada. These initiatives will build upon our legacy of leadership and training in this area and will help promote transparent financial reporting, sound business practices and sustainable economic growth." The national member body of chartered professional accountants has engaged in a number of sustainability and climate change initiatives post-unification of the profession in 2013. CPA Canada declared its support of the recommendations made by the international Task Force on Climate-related Financial Disclosures (TCFD) in 2017. It partners with the Canadian Chapter of The Prince's Accounting for Sustainability (A4S) CFO Leadership Network. 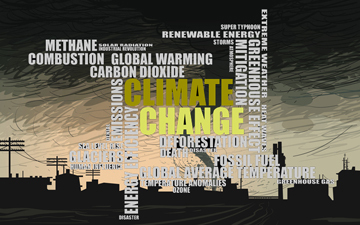 Its publications include climate change case studies, briefings and guidance. Its corporate reporting awards of excellence recognizes sustainability disclosure. The organization has come under criticism recently for the absence of sustainability training in the CPA program. In their April 2018 paper, “Where Is Sustainability within the Canadian CPA Education Program?”, Professor Emilio Boulianne, FCPA, FCGA and PhD candidate Leanne Keddie, CPA, CMA, MBA, analyzed the history and content of the CPA competency map. The study, which you can read in part on Google Books, notes that, prior to unification, sustainability was part of the certified general accountant and certified management accountant competency maps and “noticeably absent” in the chartered accountant model. (Thomas, a legacy certified management accountant, may from professional experience be aware of the imbalance, and emphasis the CMA program placed on sustainability.) The study then proceeds to analyze the composition, experience and consultation work of the committee that created the competency map. “Content analysis of the CPA Competency of the CPA Competency Map reveals that references to sustainability are immaterial, indicating that sustainability is not a key competency for CPAs, and consequentially its presence is again negligible in its related education program,” concludes the study.